As our society becomes even more connected through the web, ransomware has evolved over the years and become a significant threat to businesses, government agencies, as well as both financial and academic institutions. Ransomware is a malicious software that blocks access to a computer system or encrypts the data on the hard drive until the "ransom", usually a monetary price paid through bitcoin, has been paid within the specified time period. The amount of money that ransomware has extorted according to FBI statistics is staggering. Ransomware as well as other major cyber security threats are serious issues that businesses should not take lightly when choosing which construction project management software company to entrust with their sensitive information. Projectmates has taken several major steps to provide unparalleled security in the construction project management software industry. Projectmates is dedicated to securing their clients' sensitive data and protecting them from the various threats on the web. In 2016, Projectmates underwent a series of rigorous evaluations in order to become SOC 2 Type II certified. SOC is a globally recognized and respected security solutions company that will perform annual audits of Projectmates security infrastructure to ensure that we are maintaining all SOC 2 type II standards and bringing the highest level of security to all clients. Projectmates protects their clients from suffering any setbacks to their operations by being a cloud based software. If there was a security threat, the back up to all information is in the cloud, as opposed to personal computers, so that our clients will not experience any disruption in our service and can manage all their projects efficiently at all times. We also recognize that our customers expect the highest security possible while working on their data in Projectmates. That's why we provide 2048 Bit SHA-2 encryption (similar to the encryption used on banking websites) when transmitting sensitive information. Additionally, our datacenter is professionally and securely managed by SunGard AS, one of the top data centers in this country. 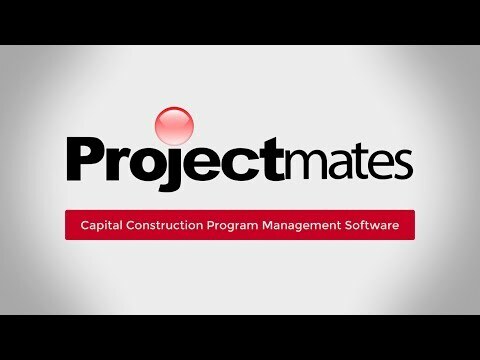 At Projectmates, cyber security is just as high a priority as providing award-winning software that streamlines all your construction projects and allows your company to remain on track and under budget. Projectmates has been asked by many school and government entities if we include ActiveX controls. We do not, and here is why.